How do I add a link from a note? 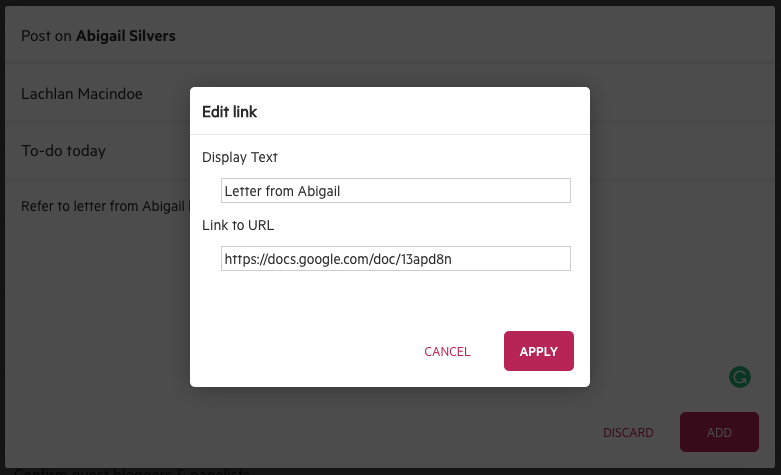 How to to add a clickable link to a note in Karbon. You can add a link to a note by clicking the link icon from the formatting menu. You will then be able to choose what text you would like to display, and where that text should link to.